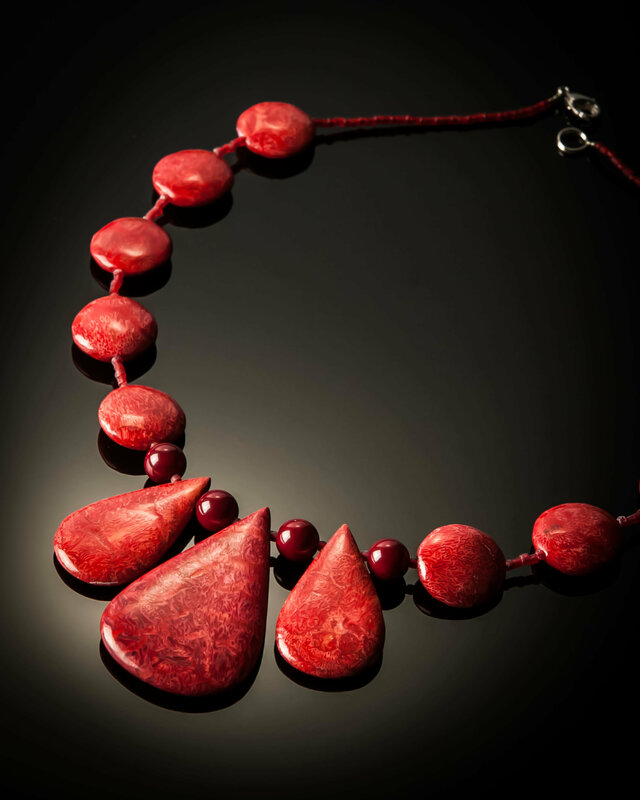 Red Coral with Three Teardrop Beads and Round Flat Red Coral Beads for a Beautiful Short Necklace with Sterling Silver Clasp. Also Available in Black Coral. 716Blk.